You can send money on Google Pay (Gpay) using UPI ID to the receiver bank account without asking his/her bank account number and IFSC code. 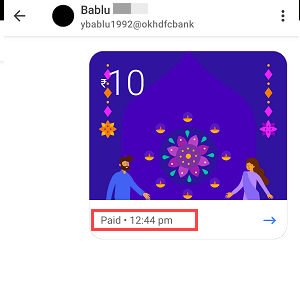 If your friend or relative using UPI and have UPI ID linked with bank account then he/she can share UPI ID (also known as Virtual Payment address) with you. After getting his/her UPI ID (VPA), you can directly transfer money to his/her bank account by entering UPI ID. No need to enter bank details. The amount will be credited to receiver bank account instantly. 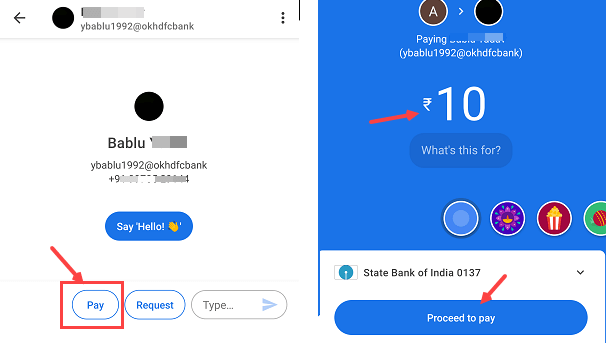 Here is step by step guide how to send money on Gpay using UPI ID. 2: Now tap on UPI ID or QR and then select UPI ID. 3: And now enter receiver UPI ID and tap on Verify. If the UPI ID is correct then you can see person name. Tap on Ok.
4: Now tap on Pay button and next screen enter the amount (Maximum 1 lac). Now tap on proceed to pay. 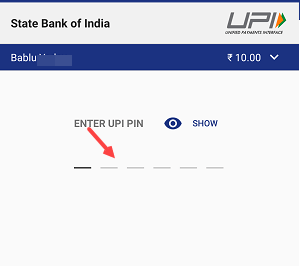 5: Finally enter your UPI PIN to confirm your transaction. Done! money sent successfully to entered UPI ID. The amount will be credited to receiver bank account which linked with this UPI ID. UPI ID is the best way to send money to receiver bank account without knowing his/her bank account details. The same way you can also share your UPI ID to receive money without revealing your bank account details. Make sure the person, whom you are sending money has valid UPI ID and linked with his/her bank account. 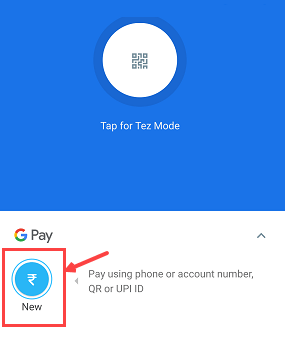 So this is how to send money on Gpay (Google Pay) using UPI ID without bank account details. UPI Managed by npci just like imps. All apps based on upi. You can transfer money to any bank account without any tension. If money not received then it will be credit back to sender account. You can also contact upi app support and bank. Don’t worry. I had have a similar situation before. Money still now not credited back to my account.. .when i went to my bank branch , they said we cant help bcz you used third party app so plz contact the app support. .. if it was from the banks app, we can resolve this. . U know Bank of Maharashtra lost 25crore bcz of upi bug… ncpi tell they wont take any responsibilty, you can google it. I understand but it happens rarely. Today most of small transfer done through upi. You can use bank official upi app or use imps through Netbanking n mobile banking.